So... You’re a little bit behind in spring cleaning. Well, there’s no harm in that. In fact, now that you’re looking through your stuff you’ve found quite a few treasures that you just can’t bring yourself to give away. There’s the box will all the anniversary cards you and your spouse have given over the years, your collection of antique holiday nutcrackers, and an old trunk with some memorabilia owned by your great-grandfather. These knick-knacks, trinkets, and items are full of vibrant memories of the things we’ve experienced and the people who’ve touched our lives. But the reality is your home can’t take much more. You’ve exhausted your basement, added as much storage racks as you could to your garage, and filled your closets with organizers to the brim. 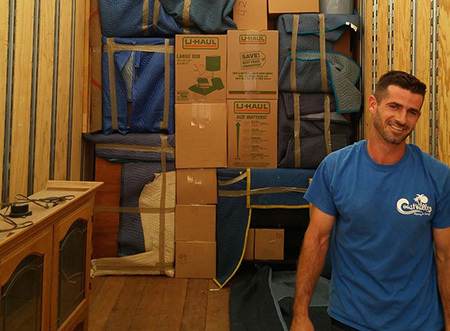 There is just no space to keep your belongings—and that’s where we come in. Coast Valley Moving has household storage facilities in San Clemente and Newport Beach storage services so you can free up space in your home without getting rid of your precious memories. Flexible and above all, secure, you can be sure that your belongings will be held safely in our state-of-the-art climate controlled facility for however short or long you need. All items stored with us are packed professionally to their specific needs to ensure when it comes time to retrieve them, they are in the same pristine condition. So go ahead, start boxing up the items you don’t need. When you’re ready to get them out of your closets–and out of your house, we will have a place for them. Learn more about our residential storage services and how we can help by contacting the storage experts at Coast Valley Moving & Storage. Call us to discuss our storage options or fill out our online form to request your free storage quote today!